Dedicated to providing the best Nordic experience possible. 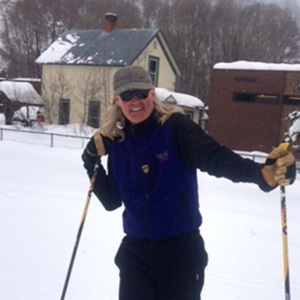 The Telluride Nordic Association is a 501 (c) (3) non-profit organization dedicated to the education and enhancement of Nordic Skiing for individuals of all ages and abilities in the Telluride Region. TNA pursues its mission through the maintenance and development of winter recreational trails and facilities, cross-country ski races, and associated educational and community advisory roles. 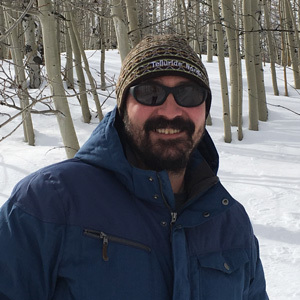 In order to ensure the fulfillment of this vision, TNA is dedicated to working with the U. S. Forest Service, other relevant public agencies, private landowners, local businesses, schools and volunteers to provide high quality, safe and affordable winter recreational opportunities to the public. Telluride Nordic Association is made up of a mix of full & part time staff along with a handful of volunteers and board members. Lance Waring began skiing in when he was five years old. In 1985, he moved to Telluride where he has taught high school English, served on the town council, and held various other jobs. His favorite work so far is with the Telluride Nordic Association. Ashley drove from Virginia to Telluride in July of 1990, and never left. He enjoys all outdoor activities including: alpine skiing, telemarking, nordic skiing, mountain biking, paddling, climbing, and camping. Ashley has worked for local non-profits and festivals, acted with local theatre groups, and is a D.J. with KOTO radio. He lives in nearby Lawson Hill and is the proud father of Lochlan, 13 years old. Dave has lived in many different parts of the country and has seen many amazing places, but when he first visited Telluride, he instantly fell in love. Today, he feels very lucky to call Telluride home. 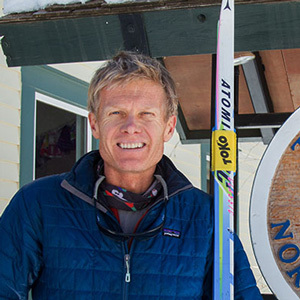 Working as the lead tech at the Nordic Center allows him to meet many winter sports enthusiasts like himself, and share the happiness that Telluride inspires.